Kurt is a collector of quotes. As he prepares to etch a quote into wood, he researches the history of the quote and how the meaning of it has evolved over time. He also meticulously chooses the typeface to insure it is historically appropriate for each quote. 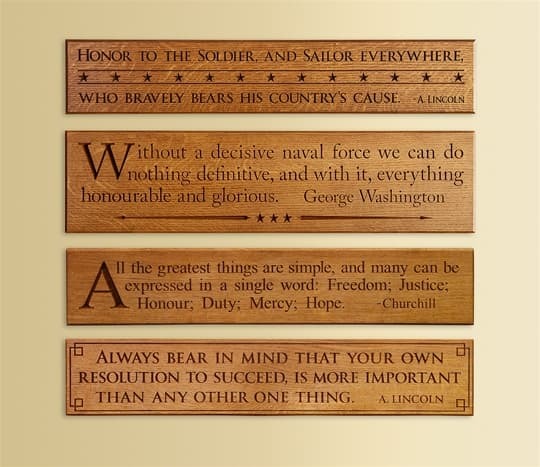 These engraved wood plaques are available in either Cherry or Oak. Quote Choose an option"Honor the Soldier""Honorable & Glorious""Single Word""Resolution"
Quote Options: Quotes are listed as pictured from top to bottom.